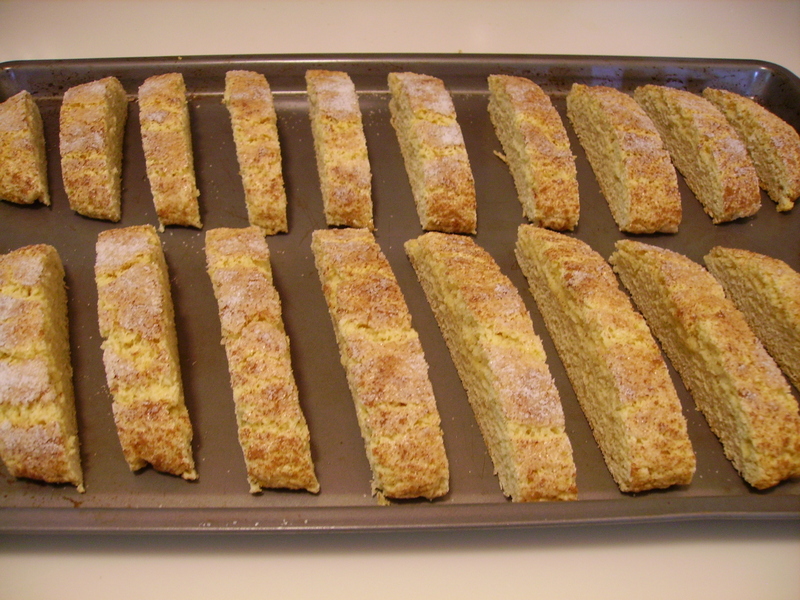 As my husband and I were about to embark on our 2-week trip to London and Paris, I got a sudden urge to make biscotti. So on the morning we were supposed to fly out, I hastily pulled together a batch of cookies, justifying this to myself by saying that biscotti are the perfect travel cookie, because they are sturdy and can’t really go stale, and they will dramatically improve the quality of airplane coffee. I once had a friend tell me that he never realized people could actually make biscotti, he thought they just magically *poofed* into existence, individually wrapped, and appeared at the counter in Starbucks. If your only experience with biscotti is the flavorless rocks at the coffee counter, I really recommend you try these! 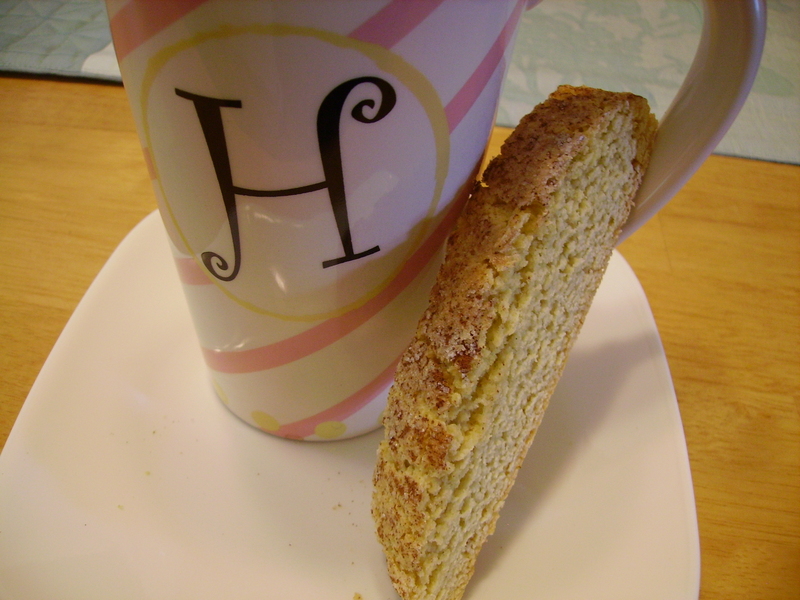 Biscotti are much easier to make than you’d think. 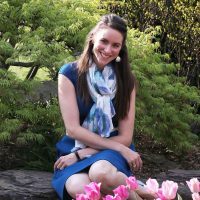 Plus, they are a great cookie to keep on hand–if you don’t think you want 20 cookies staring you in the face during your morning coffee, you can always store them in an airtight container or freeze them, and when you have guests over, you can effortlessly surprise them with homemade biscotti. This recipe could easily be altered to accommodate your favorite flavors. You could substitute a few tablespoons of cocoa powder for flour if you prefer chocolate; use a different variety of flavoring, such as almond or mint; or you could add nuts, chips, or dried fruits. 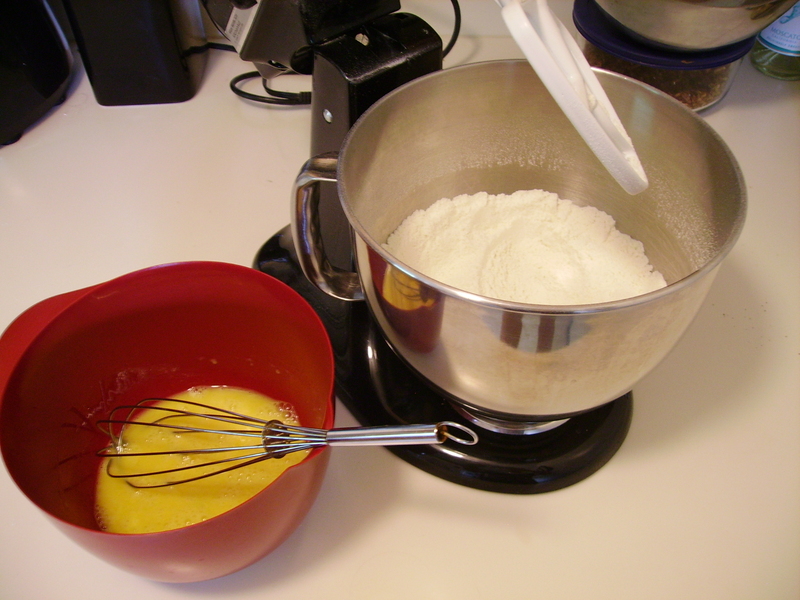 Make a small well in the flour mixture and pour in the egg mixture. Mix well. Biscotti dough is quite dry and stiff, so you may need to add just a splash of water and work the crumbs in with your hands. Knead the dough on a lightly floured surface. This will also help you to incorporate any stray crumbs. 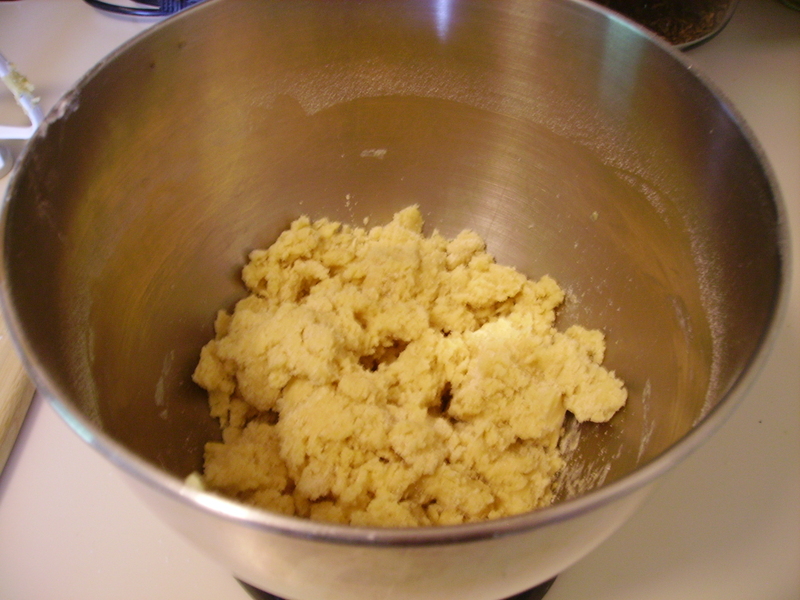 Once it is well kneaded, the dough should be slightly shiny and sticky. Divide in half and form into two 8″ logs. Transfer to a parchment paper-covered cookie sheet and flatten the logs to about 1″ thick. The dough will expand in the oven, so make sure they at least 3″ apart on the cookie sheet. Brush with egg white and sprinkle with cinnamon and sugar. Bake for 30 minutes in a 350° oven. Remove and let cool on the cookie sheet for 15 minutes. Lower the oven temperature to 325°. After the logs have cooled, cut each diagonally in thin strips, approximately 10 each. Set back onto the cookie sheet, upright, about 1″ apart. Bake 10 minutes more. 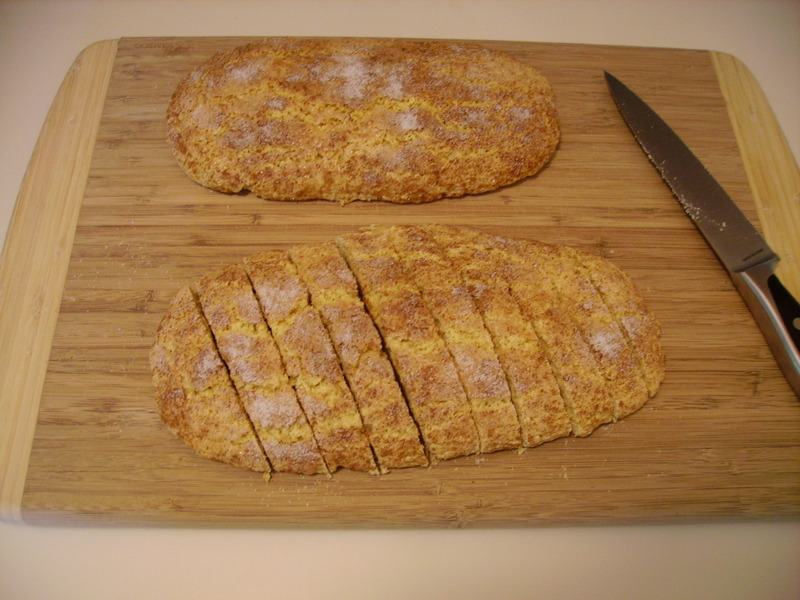 If you prefer a very crunchy biscotti, lay them flat on one side instead. Bake 10 minutes, then turn the cookies to the other side, and bake another 10 minutes. I prefer a slightly less crunchy biscotti, because the harder cookie hurts my mouth, but the choice is yours. Allow the cookies to cool completely before eating. They continue to harden while they are cooling, so don’t rush it! Mix together flour, sugar, baking powder, and salt in a large bowl. In a separate bowl, mix whole eggs, oil, and vanilla. Add the egg mixture to the flour mixture and stir until combined. The dough will be dry and crumbly; you may need to use your hands and add a small splash of water to combine fully. Turn dough onto a lightly floured surface and knead several times. 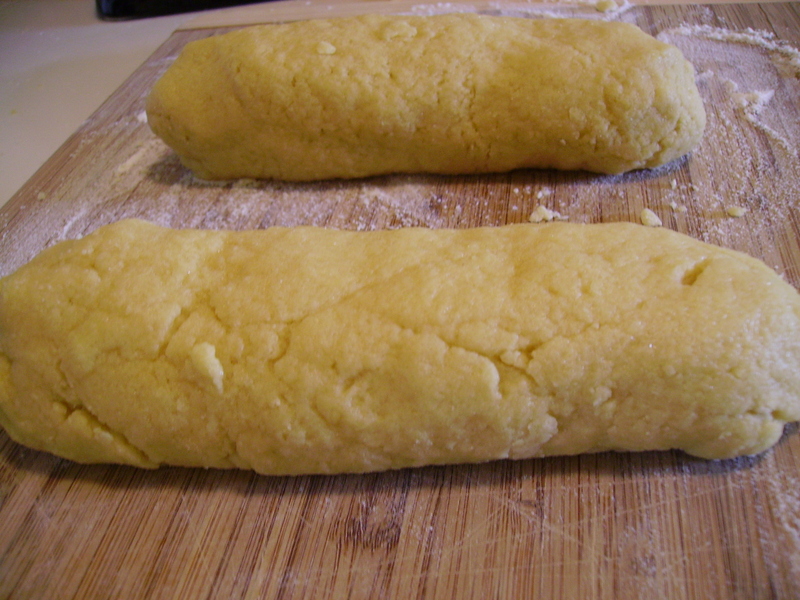 Divide the dough into two pieces and form each half into a log about 8″ long. 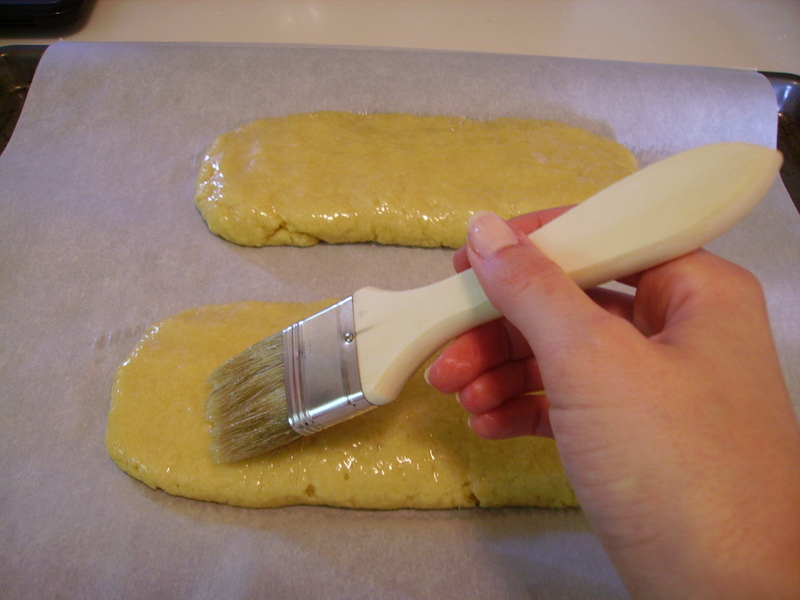 Spread parchment paper or foil over a cookie sheet (if using foil, very lightly spray the surface with oil). Lay each log onto the prepared cookie sheet and flatten until about 1″ thick. 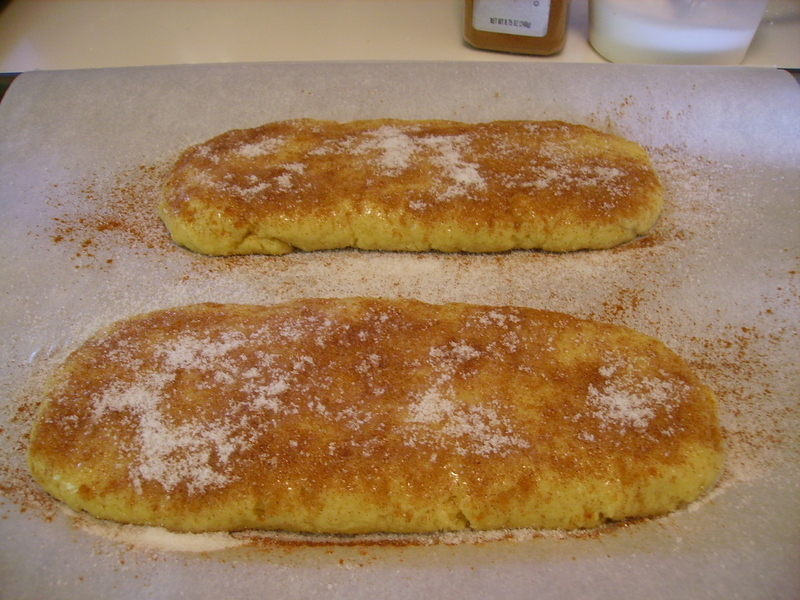 Brush tops of flattened logs with the egg white, then sprinkle with cinnamon and sugar to taste. Bake for 30 minutes. Remove from the oven to cool for 15 minutes, and reduce oven temp to 325°. Throw the parchment paper or foil away. Cut into ¾″ slices at a slight diagonal. 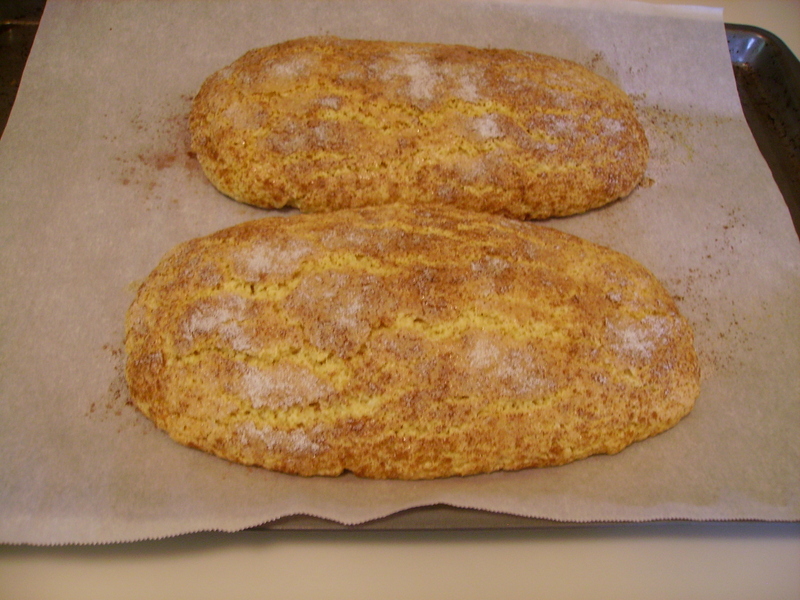 Place biscotti upright onto cookie sheet(s), at least an inch apart, and bake at 325° for 10 minutes. Cool completely before eating, as this allows the biscotti to harden.